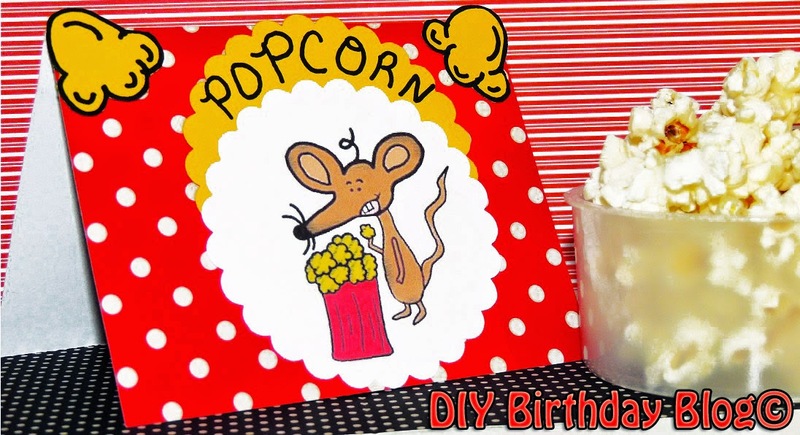 To make this cute Popcorn Mouse Food Card I just tore out one of the red and white polka dot cards. I just folded it in half. 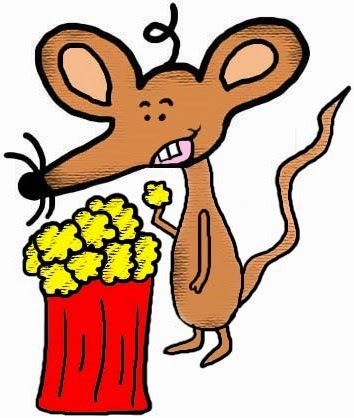 I printed my mouse popcorn picture out and used my 3.5 inch punch on it. The template is an 8.5x11 paper and I made the mouse small enough to work if you just print the mouse on some card stock. Then I used the punch on some yellow card stock too. 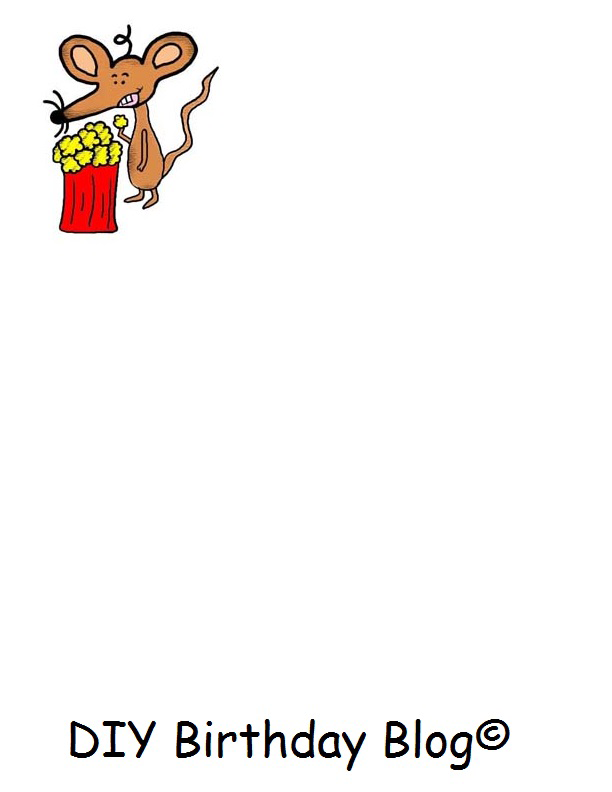 I then layered the yellow card stock right behind the mouse eating popcorn picture and taped it together. I wrote the words "POPCORN" on the part of the yellow card stock that was sticking out. Then I took some yellow card stock and drew 2 large popcorn images with a pencil. Then I outlined the popcorn with a black sharpie marker. Then I cut them both out and stuck them in each corner of the card using some tape. Once done it sits right next to the bowl of popcorn! You can make your own food cards just like this but do it to fit your theme. They make so many different folded card colors out there and there is so many images on the internet to print out to match your birthday party your having. Get creative and have fun!!! !